Pioneers in the industry, we offer Electronic Servo Motors and Drives such as Servo Motor & Drive, Variable Frequency Drive and Servo Motor System from India. We are authorised dealer of Schneider Electric Products. 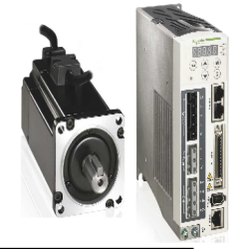 In order to cater to the diverse requirements of esteemed clients, we are able to offer a superior range of Servo Motors & Drives. The offered range is manufactured utilizing high grade raw material and latest machinery in strict compliance with the industry laid norms and standards. 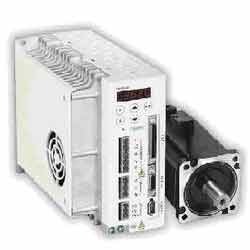 Along with this, the offered range of servo motors & drives is inspected stringently to maintain its authenticity throughout the manufacturing process. Being a reliable firm, we offer AC Servo Drives to our clients. Our quality experts carry out strict quality check to ensure the functioning and performance of the product in compliance of set industry standards. These drives are much appreciated for the quality that it possess. The range is completely tested on prior by our experts so that it does not have any flaws . We offer it in scheduled time frame to our reputed clients.